As we all know but seldom say, event planning is interior design, though space which is created evokes emotion and use for only hours rather than decades. In my experience with hiring designers over the years, I have learned a couple of rules which I think will be helpful in thinking our table designs over the next couple of years. I certainly use them in my business and hope you will too. Know that when the economy is good, America always leans towards the glitz of metallic colors in fashion, events and even automobile colors. Think about gold, silver, platinum, bronze, and copper. The adverse reaction is when the economy is in peril, we tend to focus on what we know – traditional preppy and old world elegance. As we have already seen in the past year, occupancy in traditional hotels like the Waldorf Astoria in New York and the Breakers in Palm Beach is far surpassing the uber-modern hotels in the W chain. I believe that “Traditional Americana” will sell in the next two years. Let’s do it well, recreate the past with accuracy and style, and our guests will be most pleased and appreciative. The Lucite light cubes are going to the back of the warehouse and the Chippendale planter boxes are being freshened up. When selling to your clients, you may even wish to use American style references. 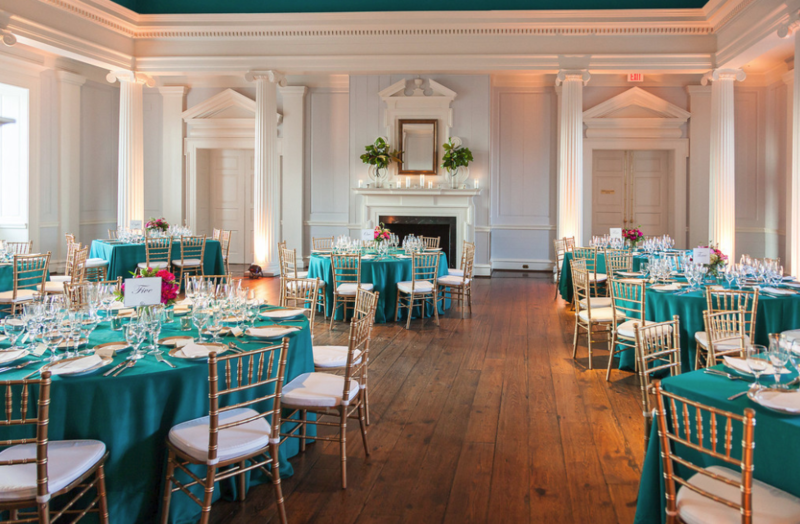 Does your event evoke a Ralph and Ricky Lauren dinner at their Colorado Ranch? Perhaps your springtime event has a feeling of the Kentucky Derby (reference Carlton Varney’s oversized patterns at the Greenbrier to your client. He has many books on his design there). A spouse luncheon in the spring can easily be sold to a client with a hat designer brought in and a new hat (in a hat box, of course) gifted to each lady at the event. Referencing the Central Park Conservatory Spring luncheon will seal the deal. Finally, our elegant Gala Dinner design can be attributed to events held in a metropolitan city with which your client can easily identify and appreciate the formality of said events. Will your event be as grand as a Gala Dinner at the Metropolitan Museum of Art, or for the Chicago Lyric, or the San Francisco Ballet? Using these references of places or events which often evoke grand Americana style will lead you in the right direction versus what Paris Hilton or a rap star may have had at their last Beverly Hills Bash. For 2009, our choices will lean towards the traditional palettes and textures dictated by Ivy League schools and such American design houses such as Brooks Brothers, Ralph Lauren and LL Bean. Traditional researched colors will be appreciated by your client and will give them a sense of security that the stock market and quarterly reports have not been able to fulfill. For the fall and winter, we will be thinking about Hunter Green, Aubergine, Deep Burgundy and Mustard. For the summer, Kelly Green, Pink, Oxford Blue, and Bright Yellow will set the tone. For a summer casual theme, daytime or night, I might reference the New England lobster men, complete in the yellow slicker jacket, white polo shirt, and navy shorts. What a great palette for a party! A bit of red (just a bit) will set it on fire! For the spring, think about a pretty young lady, or her grandmother, shopping down Worth Avenue in Palm Beach in their pink and green Lilly Pulitzer dresses and Nantucket straw purses. Take that look into the garden with Fern Green cotton cloths, white monogrammed napkins, mahogany chairs, pink peonies in Chinese Import green and white vases, and the party is complete. Leave the Pucci and glamour textures in the closet and bring out the iron, as cotton is King, once again. Formal events will call quickly for ultra thick (and do not forget your table padding!) damask cloths with oversized napkins and all of the traditional tricks of the trade that are available now for large events. These include stunningly printed menu cards, napkin rings, individual salt and pepper shakers and of course, the best crystal and china that money can rent. I would much rather serve stuffed breast of chicken on a stunning plate than filet mignon on another large white square one! Once you have completed your table setting, are you really going to let the hotel or restaurant place those awful votive candle holders on your table? I certainly hope not. 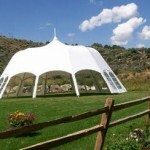 Our industry has a myriad of styles that are perfect for most any event. I learned long ago that stripes are a symbol of change and are always used at the beginning of each decade by many designers. This is a perfect reason to focus on large stripes in 2010. For elegant evenings, I will look for large silk stripes for dinner tables and shy away from base plates so as not to create circles on stripes. As I almost always use white linen napkins, they will neatly be folded with menu cards at each place setting for a tailored appearance. The position of your stripes can also be creative in a room. If there is a center aisle, perhaps they all face said aisle in a chevron pattern. For daytime/resort/ casual events in the winter, spring and summer seasons, we will incorporate stripes and polka dots (all in the same color and all in the fabric) in different sizes on tables. Think about a stripe of white and a bright color, such as coral, lemon yellow or raspberry, placed atop oversized polka dot underlays. If you are bold enough, a mini dot or pin striped napkin will be the must have accent for this table. Do you dare? For these tables, I will use only one type of flower per vase, and the vases will maintain a very simple and subtle look. I am fond of using textured vases, like a blanc de chine. In the autumn, handsome wide striped linens in the natural tone palette of black, khaki and taupe will be used with pheasant feathers and other natural objects, along with gobs of sterling silver. Have your printer use the “Jane Austen” font on the place cards and give the clients the place card holders as a gift. Small pine cones are a favorite of mine. This hunting party that works from the North, South, East or West. Think the American version of Out of Africa, and there you are! Know anyone with a Victrola? My only regret of 2008 was that we were not able to use one great design combination. The time will come again when it will work! I really think that a corporate group would love in almost any setting the combination of an espresso bengaline (not glamour) cloth, silver ballroom chair, stainless base plate trimmed in embossed leather to look like alligator, and clear vases filled with Casablanca lilies which have been meticulously cared for days on end to reveal perfect blooms without stamens. I know, I know, you should not have scented flowers at the table. Rules sometimes have to be broken in our business. I would just have to serve stronger flavors in the dinner and lots of cognac at the end! 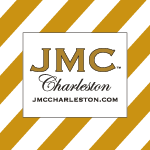 Fundraising Events – New Events bring on Stress about Goals, ... Modern Tent Delivery – JMC Loves This!